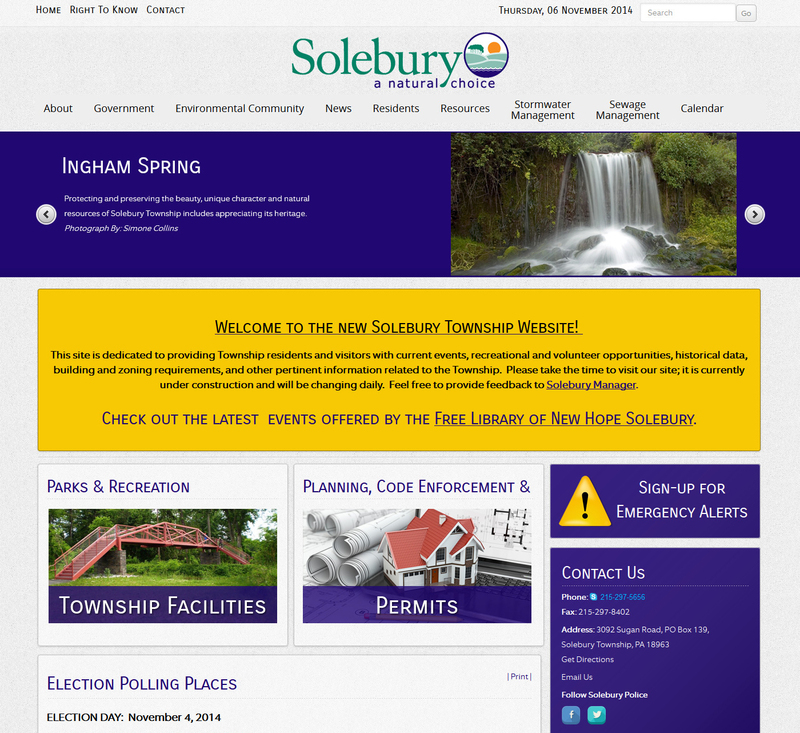 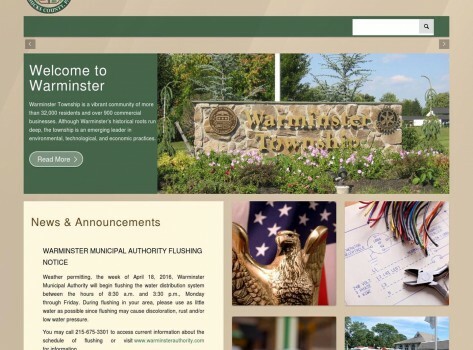 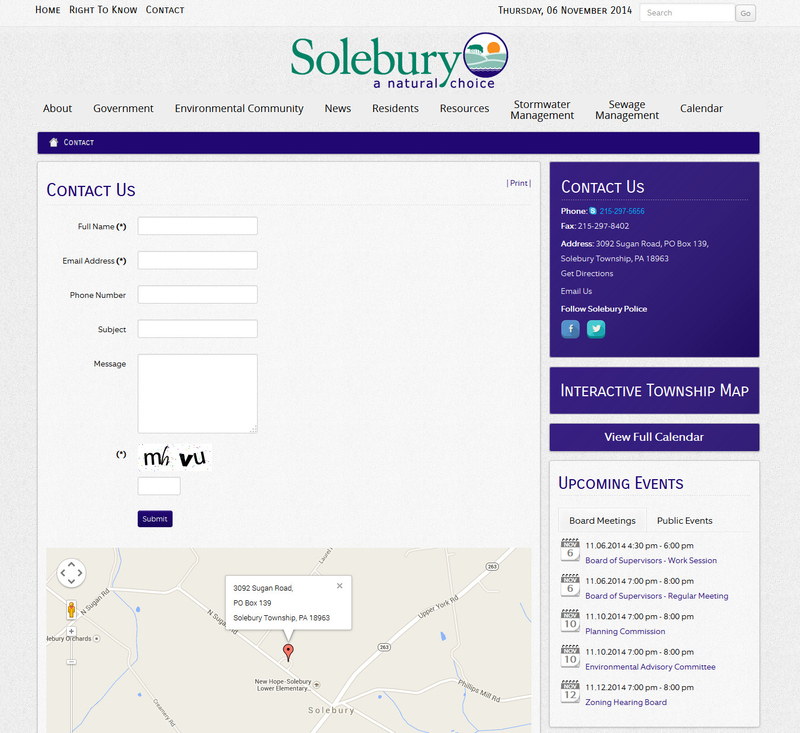 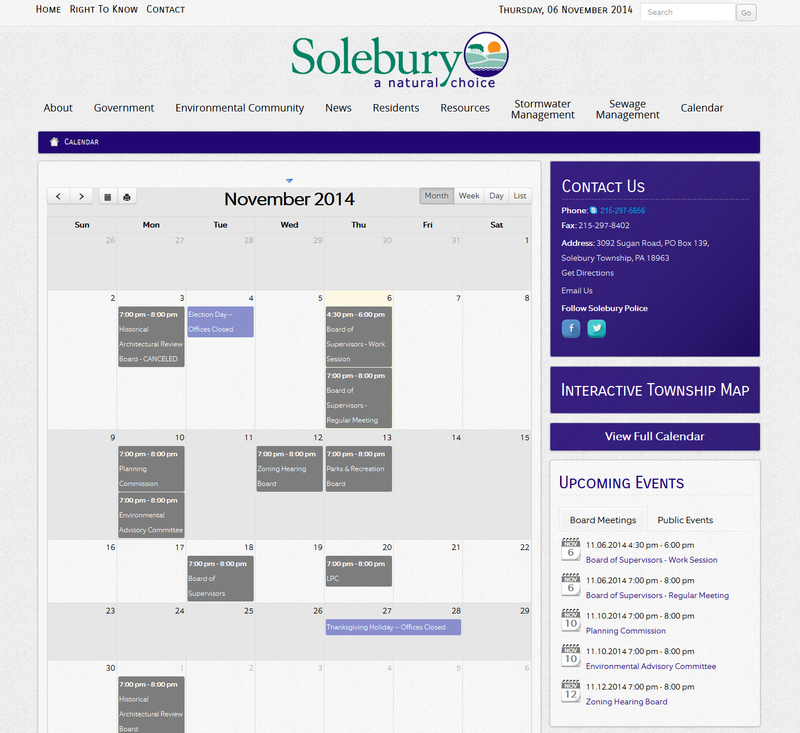 Solebury Township is one township that Sitecats has been able to help with their website organization. 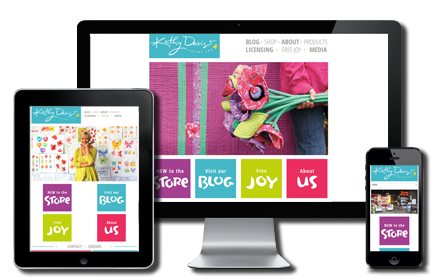 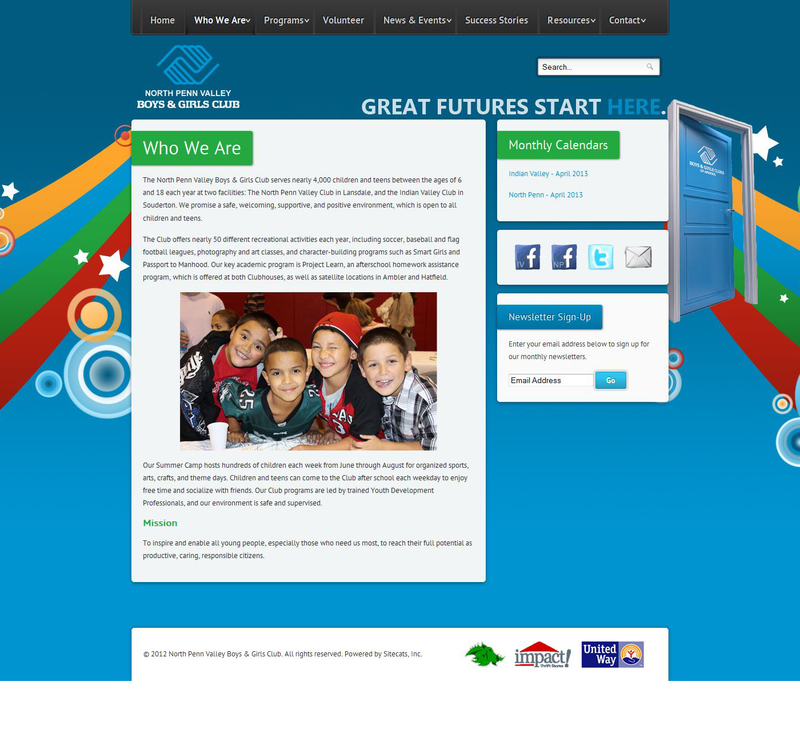 We are aware that a lot of people go to these website looking for specific information for many different items. Sitecats has helped re-organize Solebury’s website to make it more user friendly and easier to find/search for information. 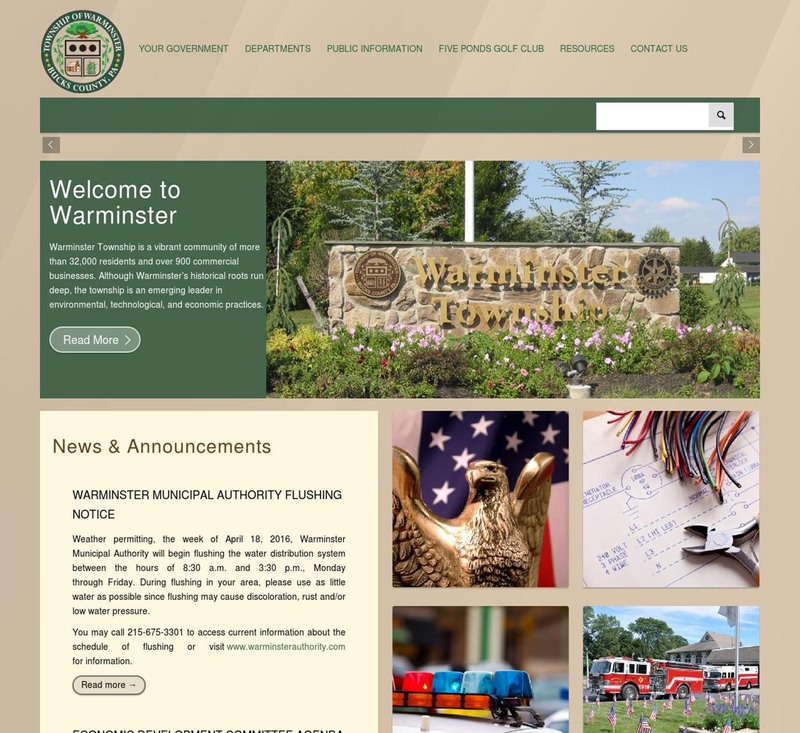 Information from emergency alerts, permit documents, events, etc.